on March 8, 2017 at 2:37 pm Does the US Share Japan’s Grim Future? | Camarillo Publishing Co.
To be fair to Keynes, Asian cultures face another obstacle- fear of losing face. Can anyone recall any Japanese Enterpreneurs like Jobs and Gates? Fear of failure may mean Asian countries will never be leaders. For instance, how come the Japanese never built anything like the particle collider? Why aren’t the Chinese? 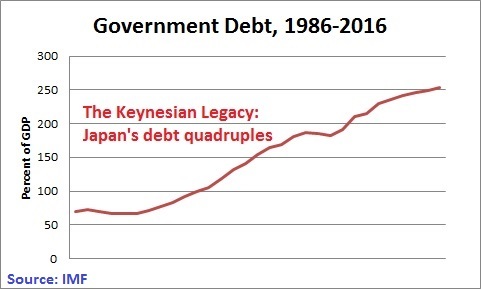 Japan is becoming a wax museum Geisha. That’s the title of a relayed post. There are definite short comings built into their culture. I’d like to remind that the bar delineating success vs failure is not the growth/no growth boundary, but rather whether an economy is growing faster or slower than the world average trendline. A country that grows faster than world average is flourishing — one that grows slower is experiencing the inevitable exponential compounding of decline. With United States growth stuck at nearly half the average world growth trendline and pundits suggesting Americans get used to it — as this is the new norm — the US is close to completing a decade of decline, and government officials are attempting to convince the American public to acquiesce to this trend for the longer term. This is a new phenomenon in American history. The United States grew much faster than the world average for most of its history. That is how Americans became the most prosperous middle class in the world. But at this rate of decline, the US will deterministically become a middle income country by the latter half of this century. With growth rates below world average, nothing is sustainable — nothing. Europeans are seeing that happening before their very eyes, yet they refuse to change course. Once the welfare state makes everybody dependent on everyone else, incentives to produce decline and human energy becomes deadlocked in an ever tightening cycle of slower growth, malaise, and inevitably even greater electoral dependence on coercive collectivism. 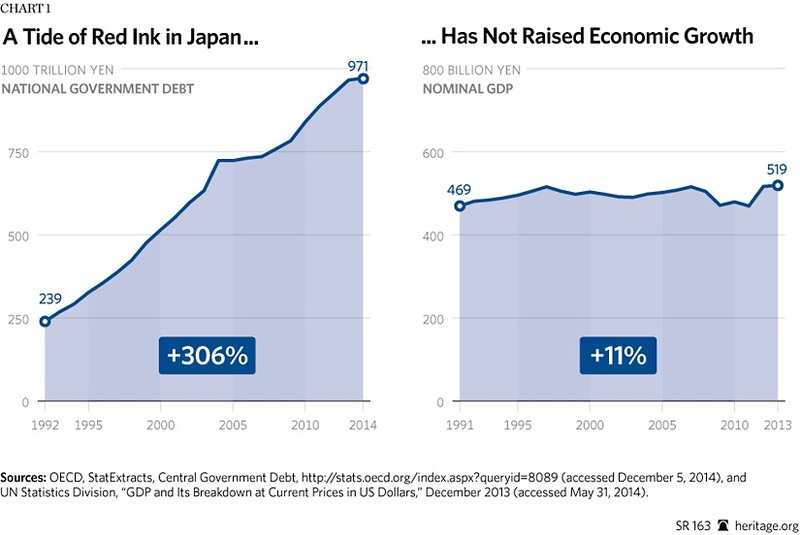 Isn’t this all about banking entities owning Japan via taxes to pay off the debt?